As if the non-Jewish neighbors surrounding Israel need any more pretext to feel anxious about the country’s treatment of its Muslim and Christian citizens. 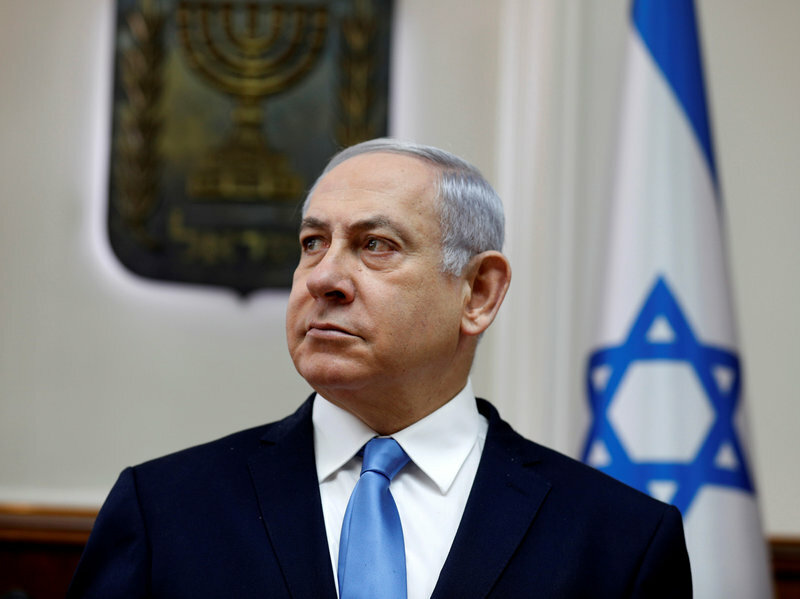 Israeli Prime Minister Benjamin Netanyahu has asserted that Israel is a “national state” only to its “Jewish citizens.” The rest of the country, which is surprisingly diverse in its religious and ethnic makeup, doesn’t matter to the Israeli government, or so Netanyahu has implied. Hold on a minute, Mr. Prime Minister. Ten years ago I had the honor of visiting Israel for a month. I lived in Israeli citizens’ homes, talked to them candidly about life in that beautiful land and got to understand something I always thought was a source of pride among Israelis. It is that they treat all their citizens — Christians and Muslims as well as Jews — with respect and honor. Netanyahu is saying something quite different. According to National Public Radio: The prime minister’s comment set off criticism, debates over Israel’s true nature — and observations that with Israel’s legislative elections now less than a month away, Netanyahu’s provocative language might be calculated to help his Likud Party at the polls. The Likud is considered one of the hardest of the hard-line parties in Israel. Netanyahu has come to embody Likud’s attitude toward the Palestinian Authority and its occupation of the West Bank. In a sense, I understand and appreciate Netanyahu’s fear that non-Jewish residents might rebel. Indeed, Israeli armed forces are continually forced to put down resistance in places such as Gaza, which is governed by a party linked closely with Hamas, the infamous terrorist organization. It is troubling to hear Netanyahu declare that Israel wants only to be the “national state” for its Jewish citizens. The implication is that the Israeli government cares much less about its Christian and Muslim citizens. That clearly is not the message I heard continually in the spring of 2009 while I toured the Holy Land. It’s provocative. Indeed, the region needs little impetus for violence to erupt. Benjamin Netanyahu, of all people, should understand what such provocation can bring. Trump: Who needs a ‘two-state solution’? Donald J. Trump has performed yet another amazing diplomatic deed. 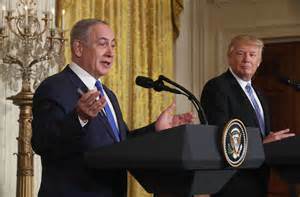 While visiting today with Israeli Prime Minister Benjamin Netanyahu, Trump managed to pull back from the United States’ traditional support for a “two-state solution” in the search for peace between Israel and the Palestinians. Trump now all but indicated he’d support a “one-state solution” that doesn’t allow a Palestinian state that could live peacefully with Israel. I’ve long sought to give Netanyahu support in his fight against terrorists who keep bringing violence to Israel. I believe the Israelis deserve to protect themselves using any means necessary to defeat the forces of evil that seek to destroy their nation. However, U.S. presidents of both political parties have been correct for decades in seeking a peace agreement that sets up an independent Palestinian state that would function alongside Israel. I understand fully the difficulty facing Israel and the Palestinians in achieving a full-fledged peace. Terrorist groups operating in Gaza, which is run by the Palestinians, keep launching rockets and other ordnance against Israel. West Bank operatives keep bringing havoc as well. However, to deny the Palestinians an opportunity to have their own state is an utterly insane strategy. It is counterproductive in the extreme. It would inflame the terrorists and it would result in continued violence, death, mayhem and heartache. How do the two sides reach a “two-state accord”? I have no idea. Neither do the principals. However, they must continue the effort. For the president of the United States — as the premier broker in seeking a lasting peace agreement — to forgo the search for such an agreement is irresponsible to a maximum degree. 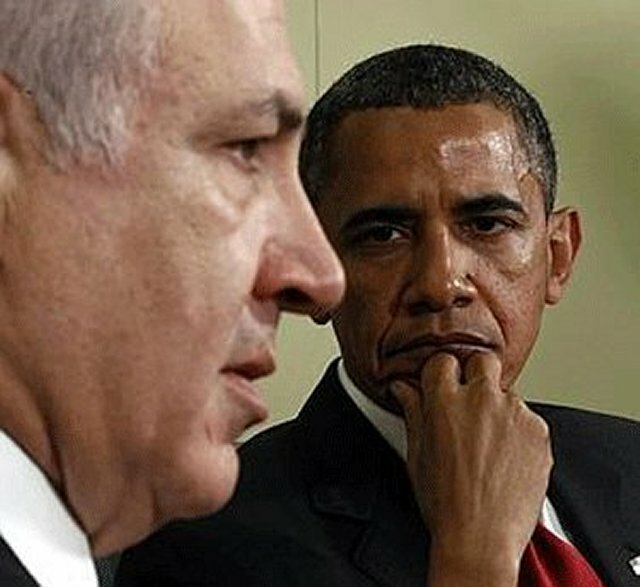 Barack Obama and Benjamin Netanhayu have been anything but BFFs ever since they became leaders of the United States and Israel, respectively. President Obama and Prime Minister Netanyahu have had a final falling out that seems a bit difficult to understand. I want to share my own perspective on what I believe lies at the core of antipathy. Obama reportedly instructed the U.S. United Nations delegation to abstain from a resolution condemning Israel over its construction of settlements in what often is called “occupied territory” that Israel took from Palestinians who call that land their own. The abstention has enraged Netanyahu, who I believe has a point. It is this: During the entire existence of the Israeli state, the nation has gone to war against its neighbors. None of the conflicts has been of Israel’s choosing. It has responded to attacks from its Arab neighboring nations: in 1956, 1967 and 1973. While the Israeli armed forces weren’t being mobilized for battlefield combat, they have been summoned time and again to put down insurrections in places like Gaza and the Golan Heights. The Israelis feel a direct threat from their neighbors every day. Yes, they have peace treaties with Jordan and Egypt; Syria, of course, presents an existential threat with the presence of Islamic State fighters doing battle with government forces that answer to a dictator who’s also a sworn enemy of Israel. The Islamic Republic of Iran has vowed to exterminate Israel; the Hamas terrorists who run the government in Gaza also have vowed to destroy Israel. Hezbollah runs wild in Lebanon along the northern border of Israel. Is there any reason to doubt why the Israelis view their situation with a great deal more alarm than any other state leader can fully appreciate? I’ve been able to peer into Gaza from just outside its border; I’ve been allowed to see damage in Israeli cities such as Sderot by rockets launched from Gaza; I’ve seen the heavily secured border fences along the Israel-Lebanon border; I’ve had the pleasure of obtaining passage through the heavily guarded wall separating Jerusalem and Bethlehem. Thus, in my view the Israelis have ample reason to feel a sense of betrayal by their allies in Washington who over many years have used their U.N. Security Council veto power to quash these resolutions. The Israelis have never provoked armed conflict with their neighbors, but they certainly have finished it. Thus, our most reliable Middle East ally is asking itself: Will the United States of America stand with us if the shooting ever starts again? The question, if it’s being asked, is not an unreasonable one. Mustafa Badreddine was a bad actor. He’s now dead. Who killed this terrorist? 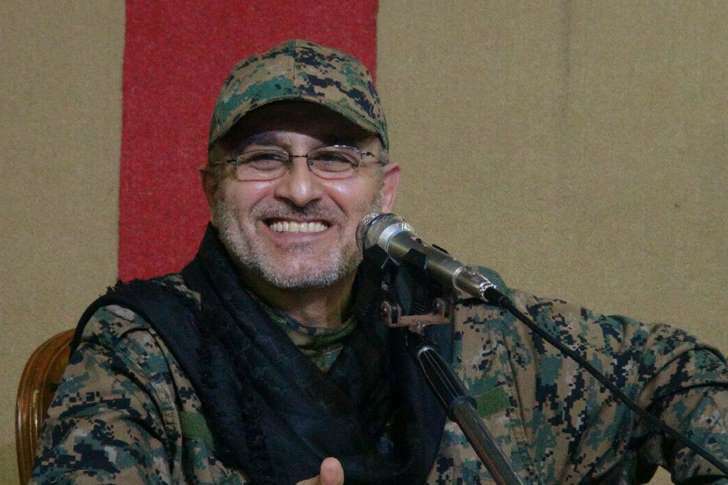 Hezbollah, the terror organization he helped lead, thinks the Israelis are responsible for the bomb blast that killed Badreddine in Syria. Israel isn’t commenting. Officials there usually stay mum about these incidents. If the Israelis indeed are responsible for the death of Hezbollah’s top military leader, my initial reaction is this: Good deal … now let’s go after the rest of them! I am one who strongly backs Israel’s effort to defend itself against the terror threat the nation’s existence every day. I’ve had the honor and the pleasure to travel throughout the country. It was seven years ago this week, in fact, that I ventured to Israel for a month with four dear friends as part of a Rotary International Group Study Exchange. One of the places we visited was in Nahariyah, on the country’s northern border with Lebanon. We could see the fortified border — complete with barbed wire and watch towers — along the ridgeline where we toured. Just on the other side of that border is a nation where Hezbollah runs wild. Just as Hamas has launched rockets into Israel from Gaza, Hezbollah has done the same from Lebanon and Syria. They send their missiles into neighborhoods, targeting civilians. The Israelis are forced into a constant state of alert against these terrorist organizations. Do the Israelis make any apologies for the measures they take to eradicate terrorist leaders? Absolutely not … nor should they. It wouldn’t surprise any observer of this ongoing conflict to learn that Israeli agents detonated the bomb that killed Badreddine. Will the Israelis own up to it? Probably not. Sixty-five years of living has brought me many blessings … and the occasional curse. 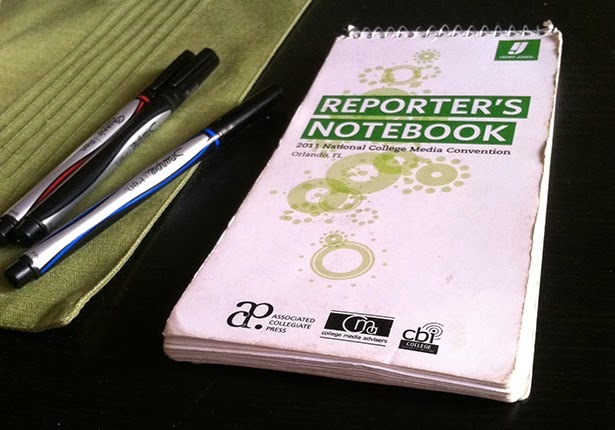 I want to mark one of those blessings with this blog post. Six years ago today, I bid so long to four young people with whom I’d spent four marvelous weeks in the Holy Land. We were there as part of a Rotary International Group Study Exchange. I am a member of Rotary and I had the high honor of accompanying these four individuals to Israel. The link I’ve attached to this blog gives you a slight hint of what we experienced. We went to many of the locations noted on the video. But this post really isn’t about that. It’s more about them, my dear friends, who traveled with me the entire length and breadth of one of the world’s most fascinating countries. Aida, Fernando, Shirley and Katt all hail from West Texas. One of them has moved to Dallas, but we stay in touch. We all do. They’ve become four of my best friends. The GSE is designed to acquaint young professionals with colleagues abroad. It’s also designed to recruit young Rotary members, to keep the service organization alive and vibrant. Our journey began at Rick Husband Amarillo International Airport on May 9, 2009. It ended on June 7, 2009 when we bid adieu to three of our team members at David Ben-Gurion International Airport. One of them stayed behind in Tel Aviv. We’d laughed and cried together. We enjoyed sumptuous food. Prayed together on the Mount of Olives. We stayed in Israeli hosts’ homes, met their families and were treated to sights and sounds the usual tourist doesn’t get to see. We peered into Gaza, stood on the Golan Heights, and swam in the Red Sea, the Dead Sea and the “Med” Sea. We walked where Jesus walked in Jerusalem and where he preached near Galilee. We toured churches, synagogues and mosques. I cannot possibly list all of what we saw, heard and felt. We made new friends with members of another GSE team from The Netherlands that traveled through Israel with us. I’m still in touch with a couple of that team’s members. It was one of those life experiences that you just cannot quantify. You can’t put a price on what one learns on a journey such as that. I was delighted to have taken that journey with those four young people. My time in Israel didn’t end at Ben-Gurion airport. I stayed on another week with my wife, who’d flown over to join me. We acted like typical tourists, staying at a B&B in Jerusalem. I got to show her some of what I’d experienced. Would we return to Israel? In a heartbeat. Benjamin Netanyahu has won another extension as Israeli prime minister. His Likud Party won more seats in the Knesset than any other party, but it still lacks an outright majority. So Bibi’s going to have to compromise here and there if he hopes to govern his country. Contrary to what you might have gathered from a couple of recent posts about Bibi’s campaign, I actually feel a bit of sympathy for the tough line he takes in governing Israel. Netanyahu is an Israeli army veteran. He’s seen the enemy up close. His brother was killed in that daring 1976 hostage rescue mission in Uganda. So, Bibi’s heart has been broken by violence. I still believe he made a mistake in coming to the United States to speak to Congress without first consulting with President Obama. The snub — by him and by House Speaker John Boehner, who invited him — has damaged U.S.-Israel relations. But let’s get one thing straight: The nations remain critical allies. All that said, his victory now enables Netanyahu to work with Obama to repair the damage. I trust he’ll do so. He talked while in this country about the special relationship the countries have had for the past six decades. He campaigned hard in the waning days of the campaign by declaring an end to Palestinian settlements. That, too, was a mistake. Perhaps he can rethink that ban, given that the Palestinians are seeking to build a home of their own. It’s good to understand, though, how Netanyahu views security in his country. It’s the single most vital issue with which he must deal. The Hamas terrorists who govern Gaza have been lobbing missiles into Israel periodically since, oh, for as long as missiles have existed. Israel must be allowed to defend itself and to use whatever force it has to put down the attacks. To that end, Netanyahu is unafraid and I happen to applaud his courage in fighting Hamas. The bigger picture, though, requires Netanyahu to understand that his country comprises citizens of widely diverse views. Not every Israeli shares his world view. I told you recently about a couple in Haifa who oppose Likud’s hard line and rest assured, there are others just like them. Israel enjoys a special place in our network of allies. It deserves that special place and some special treatment. Benjamin Netanyahu, educated in this country — and able to speak to Americans like an American — isn’t going anywhere any time soon. How to describe what took place on a California university campus. All of the above … and then some? Sure, let’s go for it. A group of anti-Israel students this past Thursday disrupted a University of California-Davis rally by Jewish students by shouting “Allahu Akbar!,” an Arabic phrase that means “God is great.” The pro-Israel students sought to protest a student government decision to divest from Israel as part of a student movement designed to protest Israeli policies in the Middle East. Some unknown vandals spray-painted swastikas on a fraternity house. Swastikas! The very symbol of the Nazi regime that exterminated an estimated 6 million Jews prior to and during World War II. Some anti-Israel student posted a note on a Facebook page about Hamas and Sharia law taking over the UC-Davis campus. Whatever. Actually, Sharia law hasn’t taken over anything — let alone a major public university campus. As for Hamas — the notorious terrorist organization that runs the government in Gaza — it has been identified for what it is: a cabal of killers. But the point here is that this kind of monstrous behavior shouldn’t be tolerated anywhere. The anger expressed on the campus is preposterous in the extreme. Free speech is worth protecting — but it ought at least to be civil. Someone needs to explain to me in elementary terms why terrorists deserve any semblance of civil treatment. Four worshipers at a Jerusalem synagogue were murdered early today by a couple of terrorists. Israeli police shot them to death at the scene of the carnage they left behind. Three of the victims were American-Israelis, one was a British-Israeli. They were worshiping in peace when two Palestinian cousins wielding axes and knives began slashing them to death. And who do you suppose has endorsed this vicious act? Among others was Hamas, the terrorists who run the so-called government in Gaza, the place that keeps originating attacks on Israelis civilians. The terrorists complain about Israeli settlements in territory captured by Israel during the Six-Day War of 1967. So rather than talk to the Israeli government, they choose to bomb innocent victims, shoot them dead in the street or, in the case of the attack today in Jerusalem, slash them to death in a horrific attack. Israeli officials vow to respond with all necessary force to put down this latest round of violence. How in the world can one justify this? How in the same world can one criticize a nation for trying to protect its citizens from this kind of barbarism?